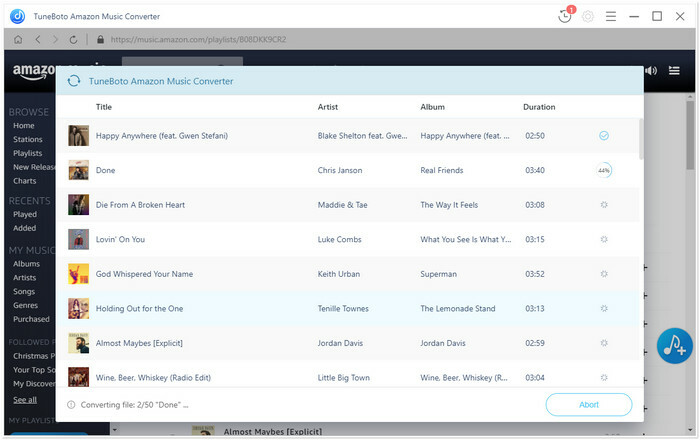 Amazon Music Downloader is the best Amazon Music to MP3 downloader to help you get songs from Amazon Music in regular formats. 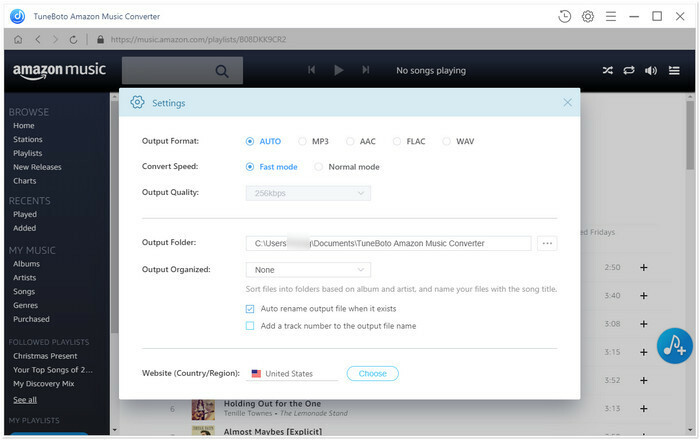 Now, let's learn how to use Amazon Music Downloader for Mac to download songs from Amazon Music as MP3, AAC, FLAC and WAV for offline enjoying or streaming on multiple devices. 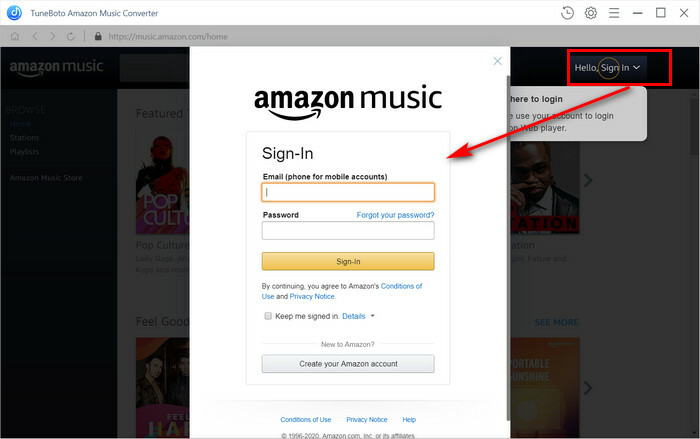 Launch Amazon Music Downloader on Mac, then log in your "Amazon Music Unlimited" account. Please note that the program will not take any information out of your account. Note: Amazon Music Downloader is a shareware which provides free trial version to give you a try before purchase. And you can only download 3 music files at a time and download the first 3 minutes of each song. To gert rid of such restriction, you can register to full version. Click on button on the bottom right corner to customize the Output Format, Output Quality and Output Path as required. Open a playlist, artist or album, then click on button and select the songs that you'd like to convert. 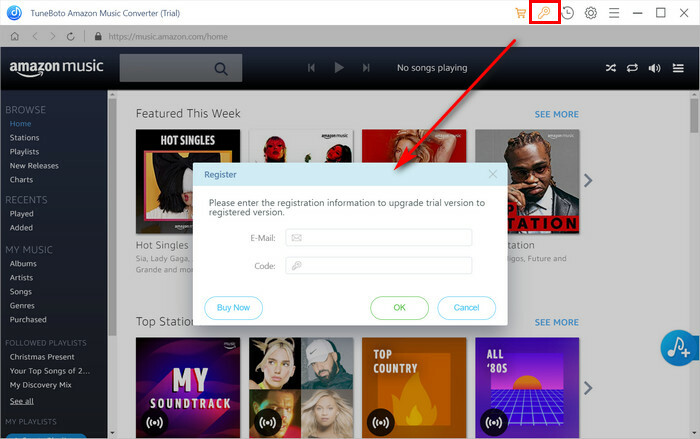 Click on Convert button to start downloading the Amazon music to the output format you selected. After the downloading completed, you can click on icon to find the well downloaded music.